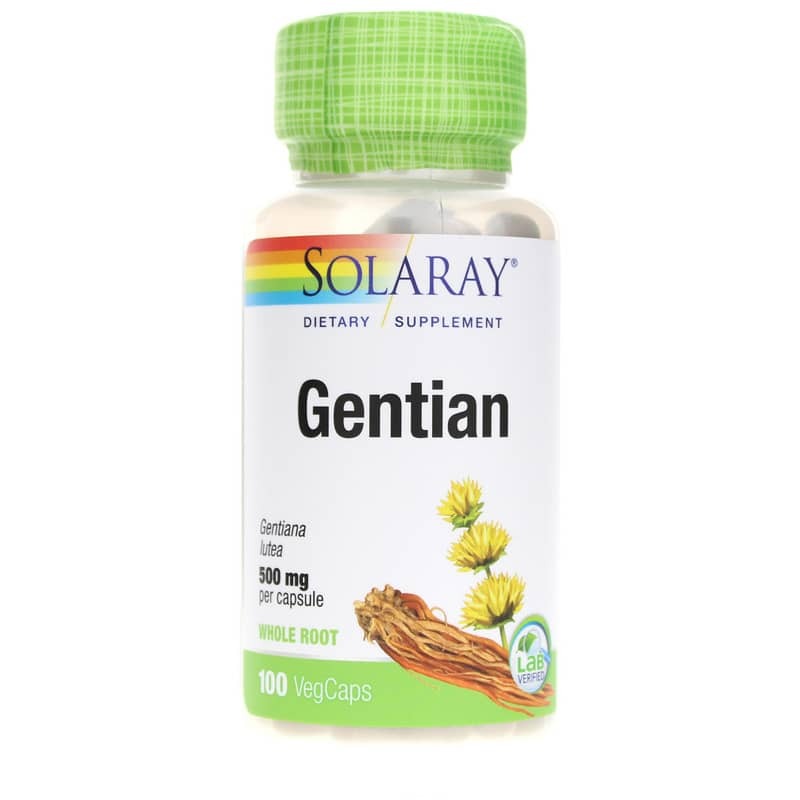 For all-natural herbal support of the liver, gastrointestinal system and more, get a tonic used for over 2,000 years with Gentian Root from Solaray. 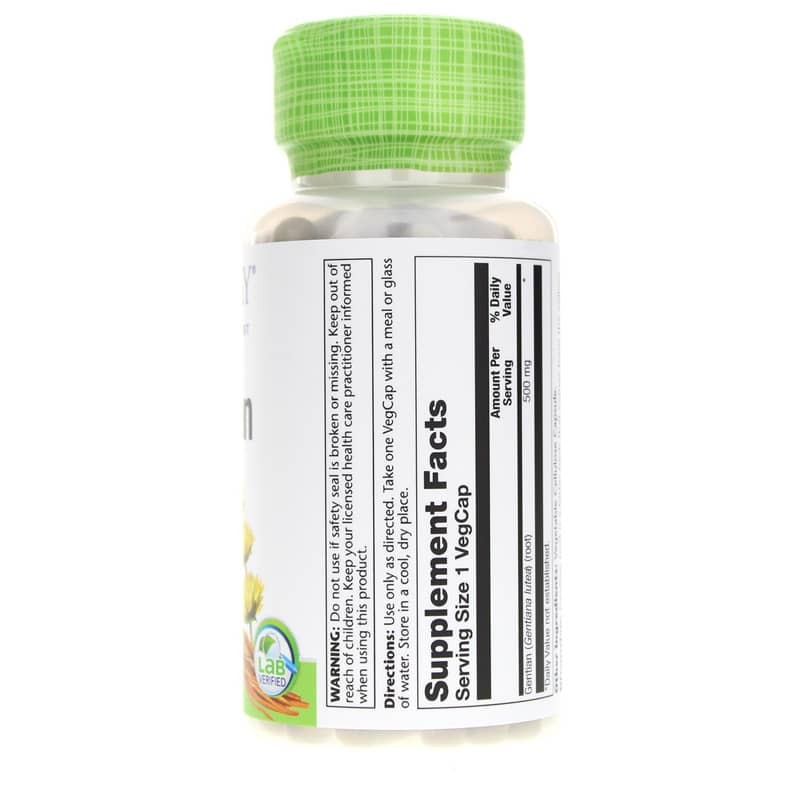 Gentian Root is an all-natural, herbal supplement containing 500 mg gentian root per vegetable cellulose capsule for a variety of health-supporting purposes. Named for the Illyrian king believed to have discovered its tonic properties, gentian root has been used by herbalists for over 2,000 years to support liver function. It was also used for wounds and against poisons. Traditional folk healers used it to support the flow of saliva, bile and stomach acids to promote digestive health. Some traditional uses of gentian root have been retained, with some of its most common uses including liver support, gastrointestinal support, circulation support, and as a general tonic for overall wellness. Gentian root may also have antioxidant properties to help protect the body's cells from free radical damage. Get traditional support. 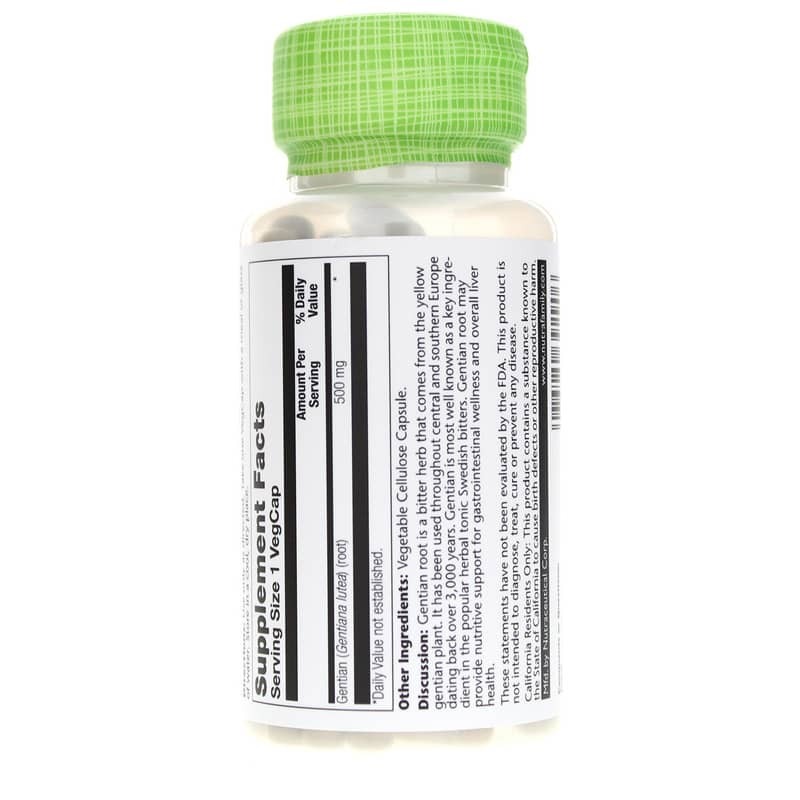 Order Gentian Root tody. It is 100% Vegan and Non-GMO.